PRSA Austin offers a wide range of mentoring strategies for the local Public Relations Student Society of America (PRSSA) chapters at Texas State University-San Marcos, The University of Texas at Austin and St. Edward's University. From one-on-one communication to tri-chapter meet-ups, the chapter is committed to giving the students the tools they need to break into the world of public relations and communications. 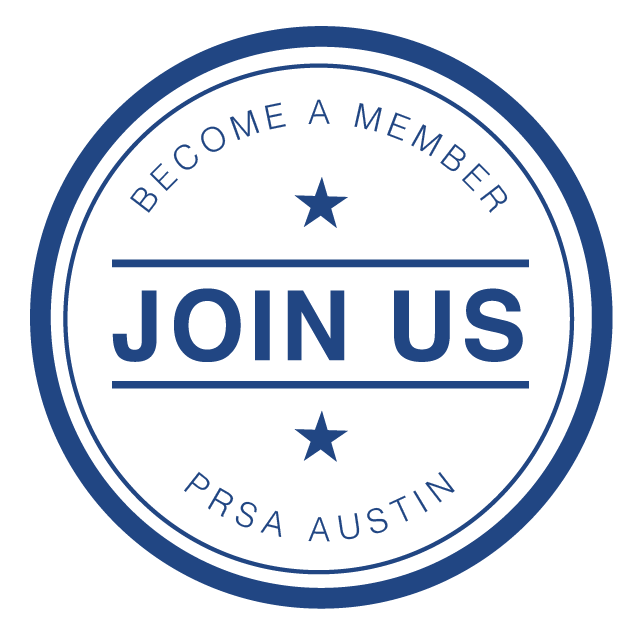 Below you will find current mentoring programs within PRSSA organizations surrounding and in Austin, Texas. The goal of the 2016-2017 mentor program is to bridge the gap between professionals in the Austin area and students at The University of Texas who are eager to gain experience in communications fields. This may involve sharing career and resume tips, lending professional advice and providing expectations of the industry. Mentors can also invite students to their workplace for a shadow day if schedules allow. The program is flexible—make the most out of your mentor-student experience by making it your own. This year we are improving our matching system to ensure mentors and students will get the most out of mentorship. Students must be accepted into the program and their designated interests will be aligned with a mentor based on industry sector and/or career specialty to help ensure quality engagement. The application deadline for this year has passed. Please check back for updates about next year's program. If you are interested in learning more or participating in any of our student programs as either a professional or a student, please email [email protected].